Summer is upon us. It’s time to shake off “cabin fever” and enjoy spending time outside in the warmer temperatures and sun. Of course, during the summer months, our idea of a great meal is one that we cook outdoors. New appliances and concepts for outdoor kitchens are changing the way we cook in our backyards. The standard grill for hotdogs and burgers is now morphing into a the ultimate outdoor gourmet experience. 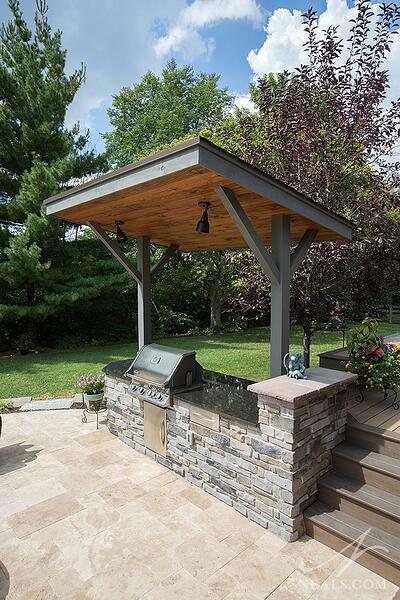 If you’ve thought about spending more time grilling and dining “alfresco,” we have four design ideas for creating an awesome outdoor kitchen. 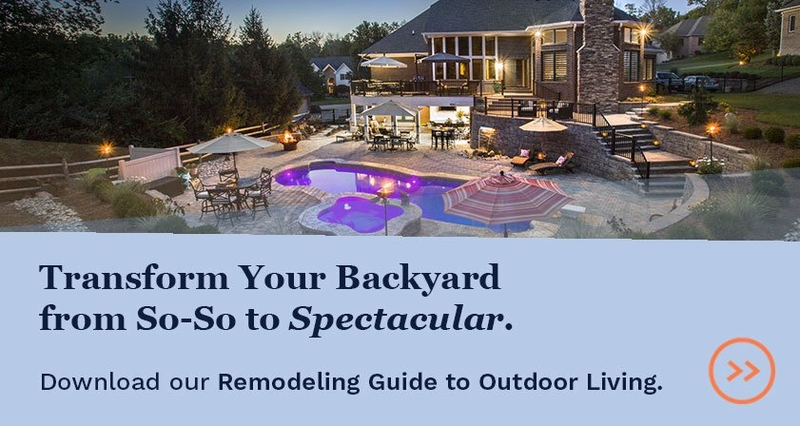 The gill area forms a visual boundary at the edge of the patio in this Middletown outdoor living remodel. Grills. A good grill is an essential in an outdoor kitchen. There are some amazing new products to choose from including dual fuel grills using gas and wood or charcoal, and infrared grills. 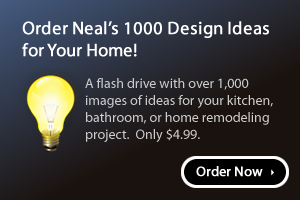 For permanence and convenience some can be modified to include a natural gas line. Ventilation hoods. As outdoor grills become more refined, people have been moving them to sheltered structures such as porches, gazebos and verandas. Ventilation is essential when you move your grill under a roof and there are now vent-hoods made expressly for grills and smokers. 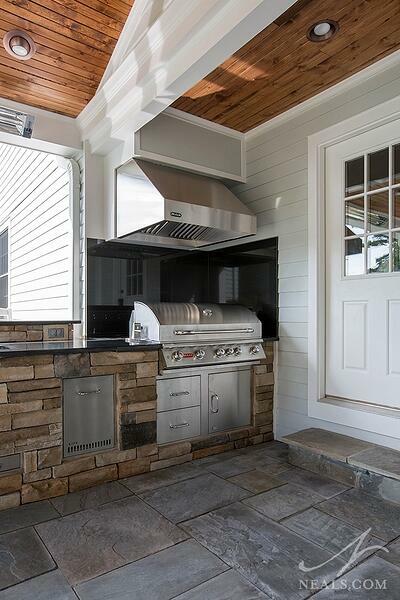 Placed in the corner just outside the home's back door, this Montgomery grill area has a vent hood and backsplash. Warming drawers and steam trays. How about outdoor cooking accessories that come to your aid when you’re feeding a crowd? Warming drawers keep food hot without drying it out until you are ready to serve your guests. Steam trays are great for keeping vegetables, meat, fish or pasta dishes warm if your venue includes a buffet. Refrigerators. Beverage refrigerators are making their way outdoors too. Before you purchase a refrigerator to use outdoors it is important to understand the requirements of units that are designed exclusively for outdoor use. They are weatherproof and must meet UL standards for use in wet conditions to guard against electrocution. Typically, the size of an outdoor refrigerator is 5.5-to-6 cubic feet. They should be unplugged when temperatures drop below 40 degrees and covered if left outside during winter months. Icemakers. Like refrigerators, there are icemakers made for outdoor use and to withstand hot and cold exterior temperatures. All icemakers require a waterline so you will need to include that in your plans. Sinks and Faucets. While an outdoor sink can be an asset, there are a number of things to consider. 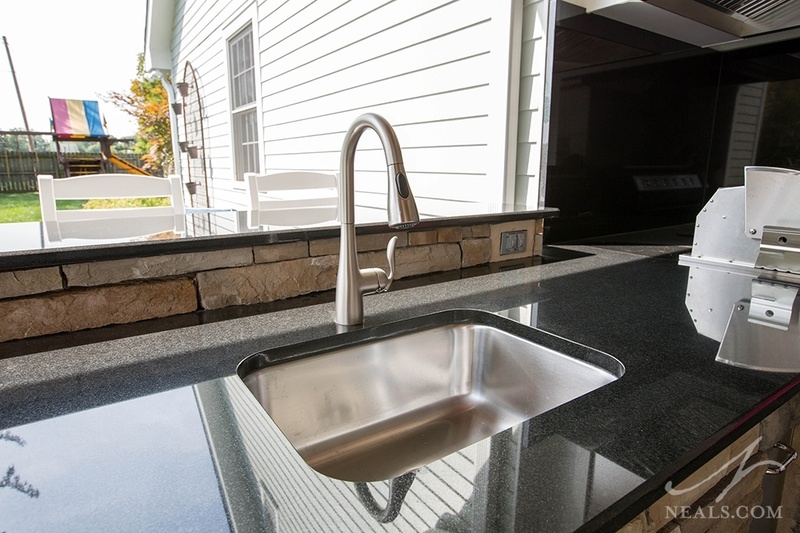 First, when adding a sink to your outdoor kitchen, will you need hot water? For most uses, such as a bar sink, hot water may not be necessary. Second, where will you drain wastewater? You could place a bucket under the sink, which may provide a simple solution or tie the sink into your home’s waste water system. Third, if you decide on this type of connection, it may also be possible to add a sink disposal. The water line to an outdoor sink should be shut off during winter months. An single-basin sink in this Montgomery outdoor kitchen is a convenient addition. 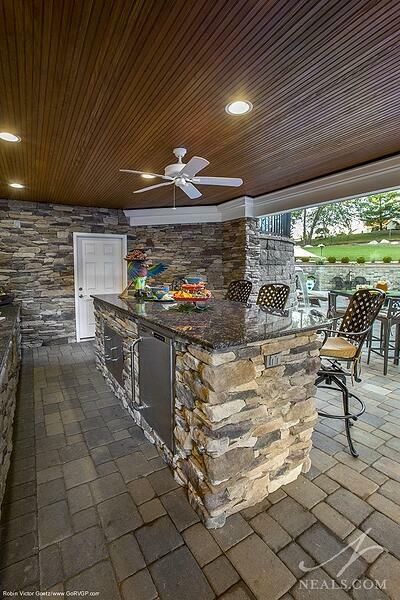 Counters are an important element in an outdoor kitchen. They provide a space for preparing and placing food and they protect outdoor appliances such as refrigerators and ice makers. Granite and quartz are durable counter surfaces suited for outdoor use. The outdoor kitchen in this Mason project has plenty of counterspace for cooking and buffets, and lighting above for evening parties. 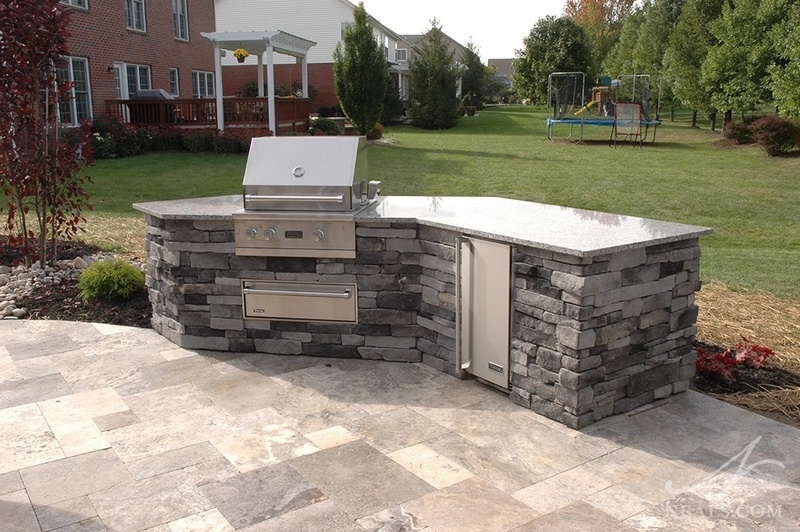 Outdoor kitchen storage can be important for storing an extra gas tank for an outdoor grill as well as barbeque utensils, grill accessories and platters. There are now cabinets made for outdoor use that are water resistant and rust-proof. To maximize the space under the deck in this Bridgetown outdoor living project, an island was installed with outdoor kitchen storage. A shelter can help extend the days and nights that you spend outdoors cooking. A pavilion, gazebo or veranda will help to protect your appliances, fixtures, counters and furnishings from wind, rain, scorching sun and snow. 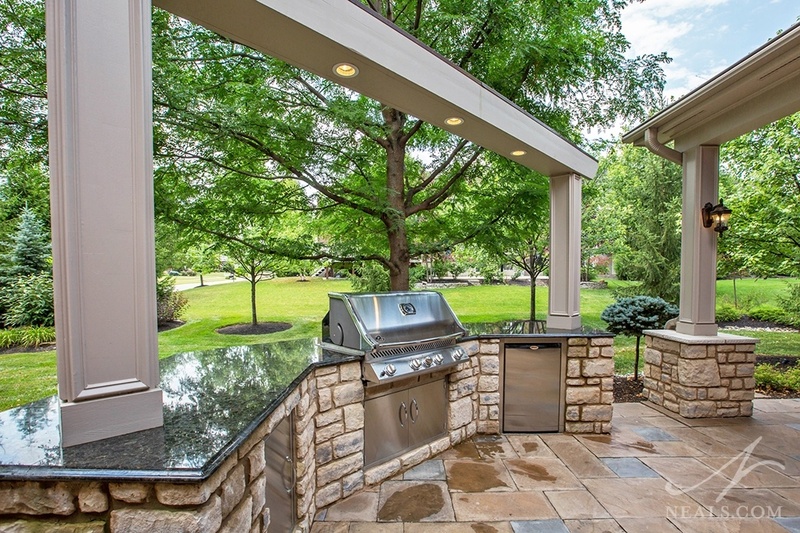 An angled roof over the grill area in this West Chester project keeps the grillmeister out of the elements.